The remarks were made by state Shiv Sena President Jitesh Kamat after he met Goa Governor Mridula Sinha demanding the dismissal of the BJP-led coalition government and dissolution of assembly. PANAJI: The Shiv Sena on Friday said that not just the state cabinet but the entire Goa Assembly should be shifted to the AIIMS in New Delhi where ailing Chief Minister Manohar Parrikar has been hospitalised. The remarks were made by state Shiv Sena President Jitesh Kamat after he met Goa Governor Mridula Sinha demanding the dismissal of the Bharatiya Janata Party (BJP)-led coalition government and dissolution of the Assembly. Kamat told the media here that governance in Goa had come to a standstill with Parrikar undergoing treatment for advanced pancreatic cancer in the national capital. "Why just the ministers, the Goa Assembly should be shifted to the AIIMS for functioning. It is a matter of shame for Goa that cabinet meetings are being held in hospitals now," Kamat told reporters. 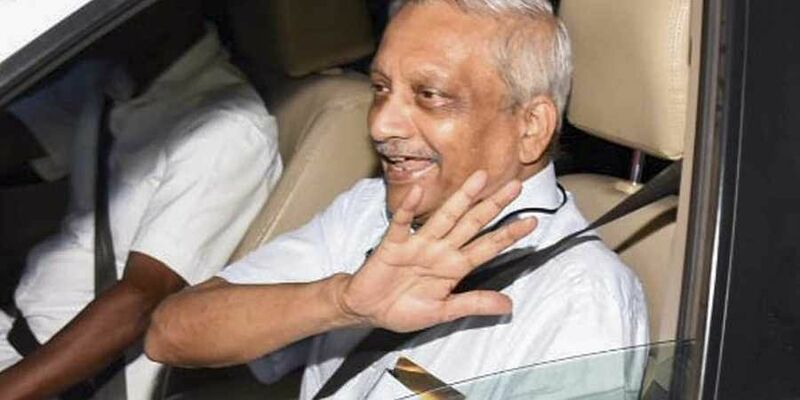 Parrikar is slated to meet many of his cabinet ministers on Friday at the Intensive Care Unit of AIIMS and is expected to allot additional portfolios to them following one-to-one discussions. Parrikar is also meeting members of the core committee of the state BJP unit. "We have demanded with the Governor that she not only dismiss the current Parrikar-led government but also dissolve the Assembly to end the impasse and provide relief to people," Kamat added.